The Roman working woman changed over the years from being purely a homemaker, to having a high degree of power, albeit via her man. For the poorer woman, work was a necessity. She had to get up early, before dawn to see to her children before she went off to work. Often her offspring were left with a good friend for the day while she went to her daily labours. Even so, they were - in a sense - far freer than their more wealthy counterparts. They were free of the social constraints placed upon the upper classes. The less well off women were still subject to the control of the males in her family, but at least she had the choice whether or not to work. Whereas we have quoted in other pages on this site that each of the man and woman parts of a marriage had their own distinct dominions, the man had his work and the woman the home, there were those in Roman society who had to cross each others boundaries because of necessity. Even in Roman times, money was a major motivational factor in their daily lives and even inflation was a keyword. Inflation was not something invented in the 1960's. It has been around as long as money has existed. After the first century BC, there was a change in the law that meant the poorer members of Roman society cold receive free or subsidised grain and oil. 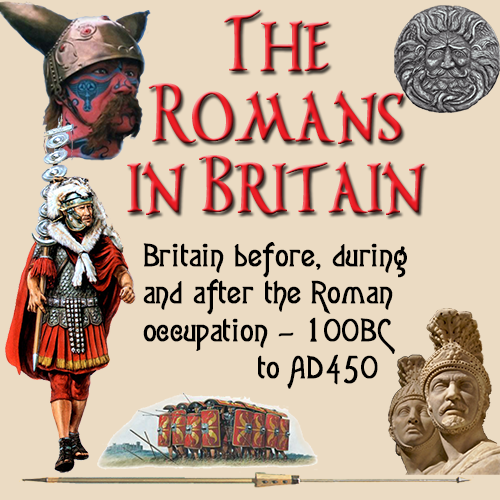 The downside was that with little opportunity for education, illiteracy and low intelligence stifled the routes out of poverty and so made it virtually impossible for anyone from the lowest orders to take advantage of a fundamental principle of Roman society. People were not judged on their pasts. They were judged by the character they were now, regardless of any previous status. Slave, servant etc. Anyone who had earned their freedom could - and often did - rise to great heights in the Roman Empire. But without the ability to read and write, they were almost certainly destined for a life on the bottom rung of the ladder of success. They could become involved in varied types of work such as innkeeper, waitress, secretary, woolworker, entertainers, launderers, maids, merchandising. Women worked alongside their menfolk in trades as the Roman towns grew in size. In inns, shops, laundries etc. They worked as nurses, musicians or dancers, florists or vintners, or as part of any service available to a wealthy civilisation. Midwives were very much a major part of Roman society. As the main reason for starting a family was to raise children to carry on the family name, they were sought after so much, many wealthy families would employ them full time during the later stages of a pregnancy. 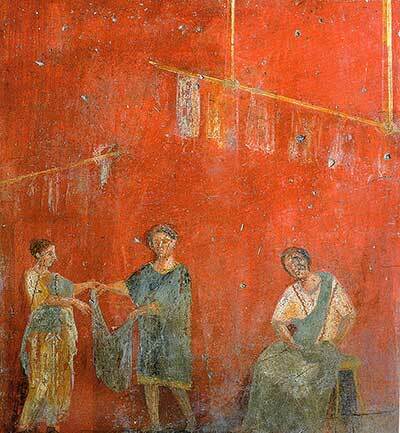 The Romans never had insurance so the small trader and his wife could only survive financially via moneylenders, and businesses were often operated on brink of bankruptcy. The poor lived in cramped and crowded conditions in two storey blocks with one room per family. Often the lower stories doubled as shops. The constant danger of a fire destroying a family's possessions was exacerbated by the fact there were no insurance schemes to compensate the family for their loss. See that the housekeeper perform all her duties. If the master has given her to you as wife, keep yourself only to her. Make her stand in awe of you. Restrain her from extravagance. She must visit the neighboring and other women very seldom, and not have them either in the house or in her part of it. She must not go out to meals or be a gadabout... she must be neat herself and keep the farmstead neat and clean. She must clean and tidy the hearth every night before she goes to bed.